Here's a look at the perfect kitchen—as envisioned by a sink manufacturer. Who needs appliances, anyway, when not only is the room endowed with a double-bowl/double-drainboard space-gobbler, but a special sit-down sink, as well? 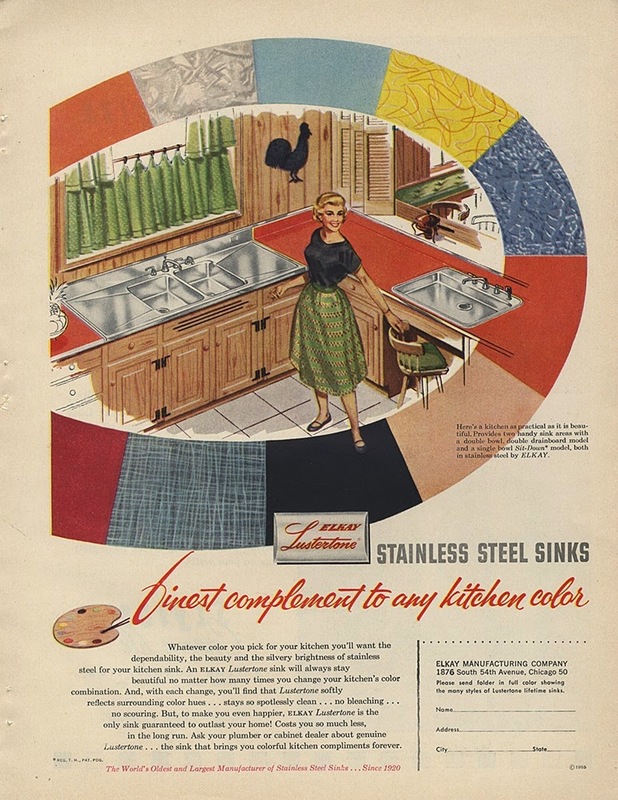 And on closer inspection, I see a chafing dish; in 1958, that should suffice for cooking meals.